Ah yes, a Shandy, a beer style unfortunately every Joe Blow these days knows of because of Leinenkugel’s Summer Shandy, well at least around these parts. 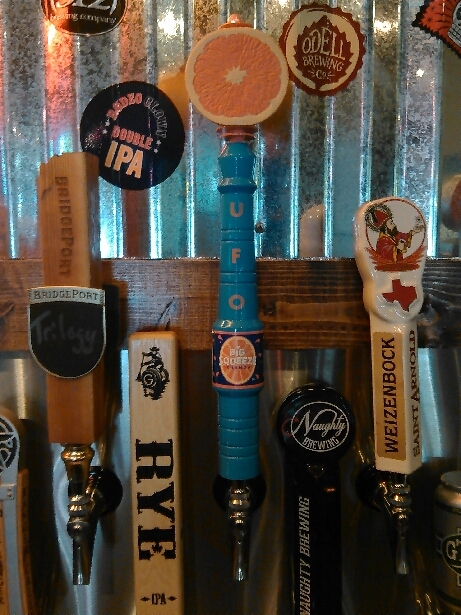 At Big Hops Gastropub where I work, we received a keg of Harpoon’s UFO Big Squeeze Shandy with an ever so awesome eye catching tap handle (seen here), I wasn’t too thrilled about it, to be honest with you. After we tapped it up and I tasted it, I realized it was just the Leinenkugel Shandy that I thought was horrid! I finally saw cans for sale at my local beer store, so I picked up a few single cans so I can enjoy them at the headquarters. 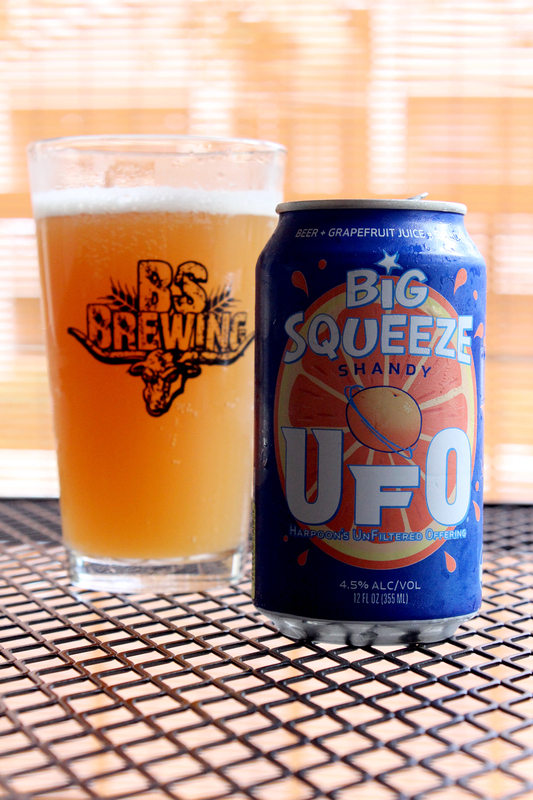 Poured from a 12 ounce can into a BS Brewing pint glass, Big Squeeze had a thick opaque orange color topped with a thin white bubbly head. The beer looked as if I was drinking orange juice or something like that.There was no head retention at all, and no lacing left on glass. I really wasn’t expecting that, though. The aroma was as expected. It was all sweet citrus, dominated by a tangy acidic grapefruit smell. Behind the fruit, there was a tad bit of pepper and bread. This definitely smelled more of an alcoholic fruit beverage, rather than a beer. The taste was also not very surprising, as it was exactly like the nose. Did someone put a little alcohol in my grocery store bought grapefruit juice? There is an underlying bread-like taste, and a very subtle black pepper character. The aftertaste is also just chock full of grapefruit juice. The body is in the light to medium range. There is moderate carbonation. I’m going to reference this again,but this drinks more like a juice, rather than a beer. The mouthfeel is acidic, fizzy, and crisp, with a slight smooth mouth coating feel. Overall, I will say that this is the best Shandy I have ever had up to this point. As I said earlier, we had this beer on tap at my job, and this is just one of those drinks that was nice to have while enjoying some good pub food. The can is something I could take a whole lot of to the beach, and have a good ol’ time! I promise you, if you were ever fooled by other nasty beers of this style, you know the ones that taste like they were made with artificial lemon juice or some other crap, please try this beer, becasue your mind just might change. Big Squeeze is a bit scarce right now, as we are heading into the Autumn season, but if found, please enjoy quickly. I wouldn’t let this one sit any longer than it already has. I do look forward to next Summer so I could visit the Texas coast with an ice chest full of this stuff! Metal Connection: This one was fun to find. I searched the database and came across this awesome classic song from 1985, by the US band, Malice. 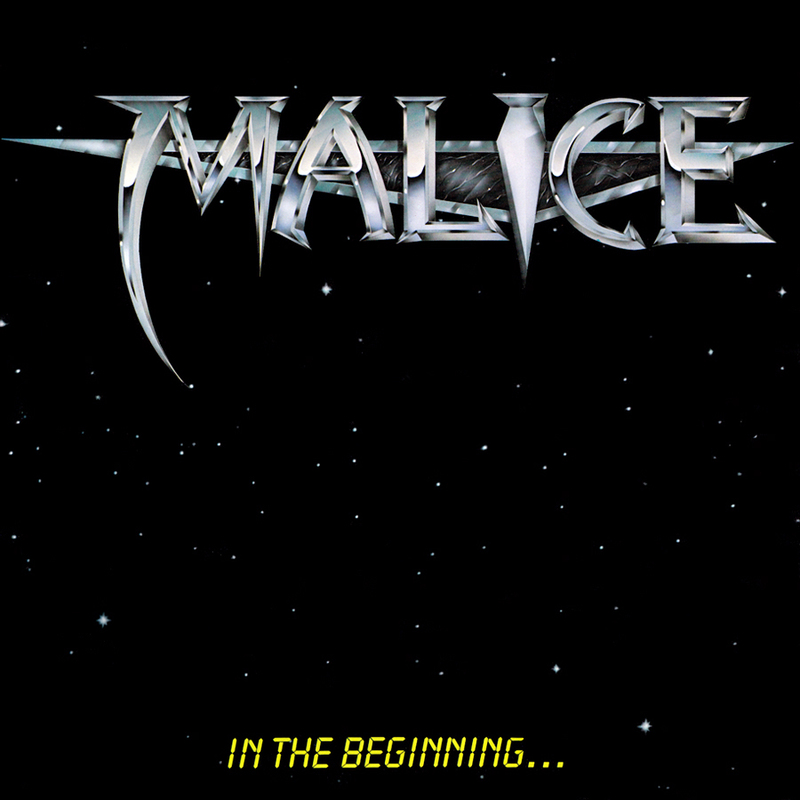 Malice is a Speed/Heavy Metal band that formed in 1980, and fulfilled a lengthy career until 1989 when they broke up. In 2006, the band reformed and their last studio recording in 2012 featured a Texas native, Mr. James Rivera of Helstar fame. OK, back to the song for the Metal Connection… This song is called “Squeeze it Dry” from the band’s debut full length album, cleverly named In the Beginning…. I’m sure you can see why this song was chosen to be paired with Big Squeeze. Yeah, I got pretty clever myself, here! This beer represents Summertime fun in the sun, and the lyrics to “Squeeze it Dry” is about a person being held down, being told not to go out and live life to the fullest/ All they want to do is have some fun in the sun!